How to Choose the Right Vehicle for Your Business? Many businesses reach a point when buying a company car is not only justified, but necessary. Whether you’re considering a fleet for the sales team who are more on the road than in the office or regular employee transport, buying a vehicle for your company is miles from buying a personal car for yourself. When we buy cars, nine times out of ten we rely heavily on the emotion. If you apply the same to your business, you can easily end up spending the money you don’t have. Instead, when looking for a company car, focus on categories like fuel economy, safety, and upkeep costs. Used as a term related to employee-owned vehicles used for business purposes, some companies rely heavily on these vehicles as a cost-effective alternative to purchasing their own. 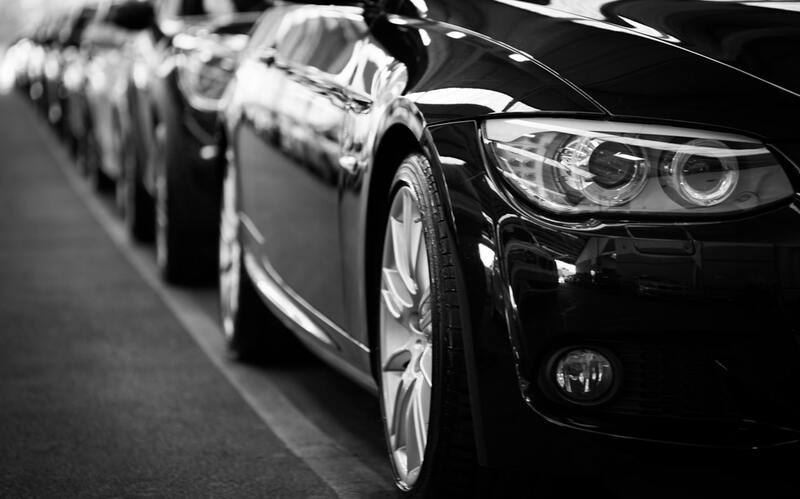 However, in the long run, you will want to reduce your grey fleet usage as it’s not only extremely hard to manage and ensure your employees are safe, but also that each vehicle is properly maintained, taxed, and insured. Although purchasing a vehicle might sound like a logical course of action, make sure you review the alternatives, some of which might suit your situation even better. While the cash flow and tax breaks are the most important considerations, you should also calculate long-term costs and benefits. Renting has always been considered a costly and time-consuming option, but recently it’s become much more popular, especially when combined with the other vehicle policies, like leasing vehicles for everyday journeys. Rental cars fit perfectly in the gap when car-share vehicles aren’t available, and they are most cost effective for return journeys of over 130-160 kilometres. In the times when fuel prices surge, this factor usually pops up first. But even with fuel prices relatively moderate, you should still think about optimizing your company fleet’s fuel economy. Even if your business cars are often loaded with merchandise, tools, or equipment, you might be able to find the same model with a smaller engine that still fulfils your needs. Car dealerships call this process “right sizing” and it means finding an optimal vehicle with the maximum fuel economy and the largest number of useful features for a particular use. Your vehicles often say much about your company even without the branding decals. The question is what impression you want to leave on the clients. If your business operates in the environmental sector, coming over to an investor’s meeting in a Range Rover or a Hummer won’t be considered just as a source of jokes, but as downright bad taste. On the other hand, for a construction company, or the one which mainly deals with blue-collar services, even a high-end ute wouldn’t look out of place. If you want to find the middle ground, you may want to consider a highly-capable but fuel-efficient car like these SUVs. Packed with safety features and the latest road tech, these models cover a wide range of business roles at an excellent resale value. Following the great advances made in automotive technology, a number of safety systems that were once considered extra features for the executive class upwards are now regarded as a standard. Among many three-letter abbreviations related to safety, you should be familiar with ESP (Electronic Stability Program), ABS (Anti-block Braking System) and AEB (Autonomous Emergency Braking). Having your company cars fitted with safety systems isn’t just buying peace of mind that your employees are safe even when on the road. A recent report by the UK’s Road Safety Analysis, which was based on incidents reported to the police, has revealed that although company drivers are less likely to participate in substance impairment accidents, they are more likely to engage in risky road behaviours such as tailgating, manoeuvring errors and to be fatigued while behind the wheel. Apart from the down payment or leasing instalments, you need to consider the additional cost of repair and maintenance. Regular maintenance isn’t only essential for avoiding larger problems that might cost much more, but also for avoiding the time the car is out of service while these problems are being taken care of. Different makes and models will bring on different levels of costs as related to the parts, availability of the parts and the ease of maintenance. It’s essential to gain some understanding of the cost and ease of maintaining particular makes and models you’ve been considering as possible choices. If your business is highly dependent on these vehicles, perhaps even getting a centrally-managed body shop on board that is specialized in maintaining your chosen vehicle type wouldn’t be out of line. Although small businesses will go to great lengths to save money, with some ambitious and fitness-savvy entrepreneurs choosing to cycle to work, for a company that depends on cars for delivery, making sales routes or transporting workers to different job sites, having a vehicle is essential. Whether it is the Ford Transit in 8+1 configuration, or a compact Kia Soul with a cargo bay, it’s not the most stylish that wins but the one that puts the least stress on a business, and yet offers the most practicality.